Our Interior Design and Architecture division includes a portfolio of bespoke, unique products, where the customer is looking for something unusual and different to add a modern and unique twist to a project. All projects are undertaken on an ongoing consultative basis with an experienced project manager who has extensive knowledge of the interior and architectural markets to enable excellent and breathtaking results. Using the philosophy of creating unique surfaces inspired by the beauty of natural light, we can design and manufacture panels, sliding doors, internal hinged doors, flooring, ceiling tiles and bespoke furniture as well as any other bespoke surface requirement. Interior Design and Architecture division has worked on many exciting projects, including the MTV studios, The Affordable Art Fair, Priory of the Assumption and Nino’s restaurant. With MTV, the challenge was to create an inspiring environment, reflecting the designer’s innovative roles and provide them with a creative space in which to work. 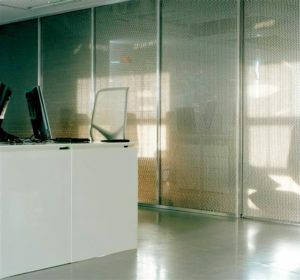 The partition wall for the conference and IT rooms were required to allow light to be transmitted, but at the same time provide privacy and aesthetic interest. 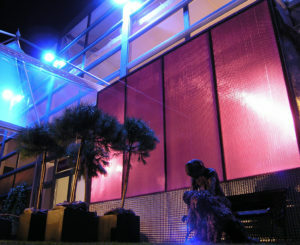 The Affordable Art Fair required an interesting and unique backdrop for their outdoor seating area, which was visited by many thousands of artists and art lovers. The wall created met the brief of being warm and inviting to appeal to tired visitors, and fitting with its stylish surroundings. Priory of the Assumption is an early 20th Century building attached to Bethnal Green R.C Parish Church. The customer wanted to make better use of available space and create a new entrance lobby, make some of the rooms larger and provide a link between them. 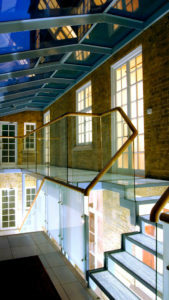 An internal staircase and corridor was removed to create extra space for the larger rooms, and moved to the exterior of the building, without losing any natural light. The new glazed entrance lobby has transformed the use of the Priory by utilising the increased daylight, and it is also used as a winter garden. Nino’s contemporary restaurants in Bahrain wanted to attract both young, trendy customers between the ages of 18-30 as well as families. The restaurant was looking for an interior that reflected the brand’s existing style, creating a warm, welcoming and happy atmosphere. 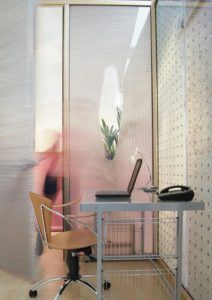 The panels were positioned in the lounge waiting area as a freestanding backdrop. 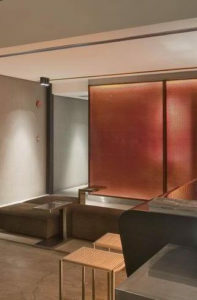 The use of effective lighting achieved a subtle amber glow; giving a fresh and trendy yet welcoming environment. 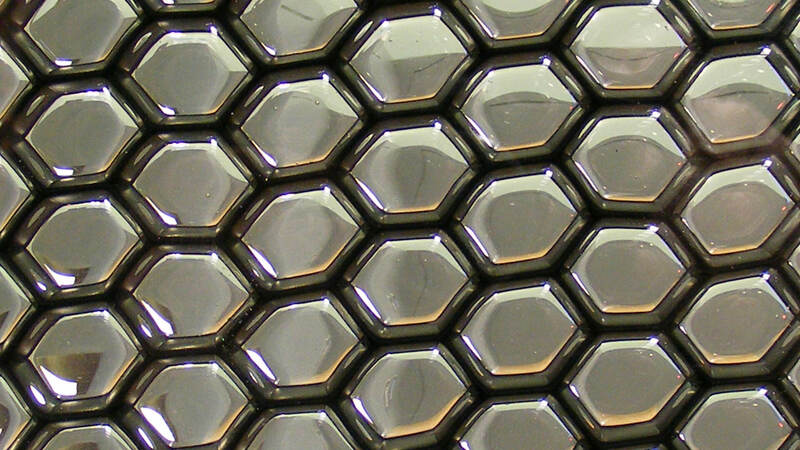 For more information on our Interior Design and Architecture products please contact us.